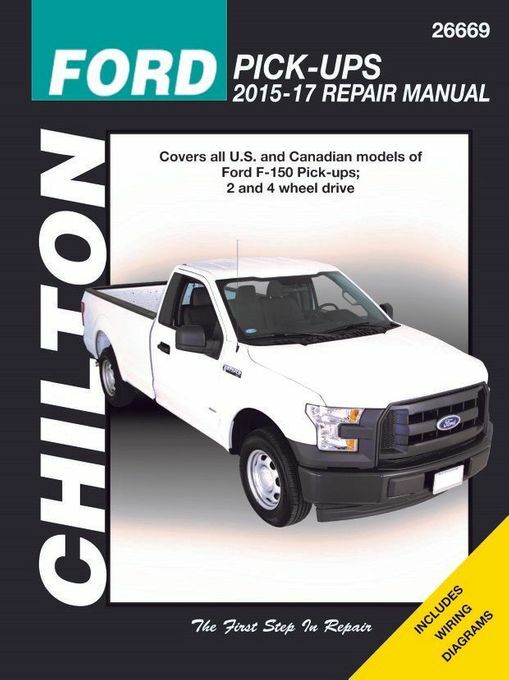 NOTE: This service and repair manual does NOT cover F-250 or Super Duty models. Pick up this Ford pickup repair manual today so you can start taking care of your Ford F-150 truck maintenance and service tasks yourself. You will be glad you did so for sure. Even if you choose to take your truck to a professional mechanic, this manual can give you an overview of what your mechanic will be working on so you can have an intelligent discussion with him or her. Knowledge is power and in this case it equates to dollars in your pocket. DIY and save! The Motor Bookstore has been serving DIY customers like yourself since 1997. We strive to provide you the best customer service possible at a fair price. Call us today if you have any questions. Ask a question about 2015 - 2017 Ford F-150 Pick-up Repair Manual.